in order to transform ideas to products, from the labs to the marketplace. Gleechi, Jukeboss, Shortcut Labs, Runtroll, Telcred and Business Development team. Future Networking Solutions, Health & Wellbeing, Smart Spaces, Urban Life & Mobility and Smart Energy systems. Coffee break and demonstration area open in the EIT ICT Labs Co-location Centre (CLC). Learn more about Mobile Backhaul, Software Defined Networks, LTE for Smart Energy Systems, Gaming Simulation for transportation, sharing virtual spaces, creating smart connections between the physical and digital world etc. Lunch and continued networking in the demonstration area open until 14.00. Take the opportunity to also register for Idea Challenge finals in Internet of Things that take place on November 13th at 14.00-18.00 and the Future Networking Solutions Seminar on November 14th. 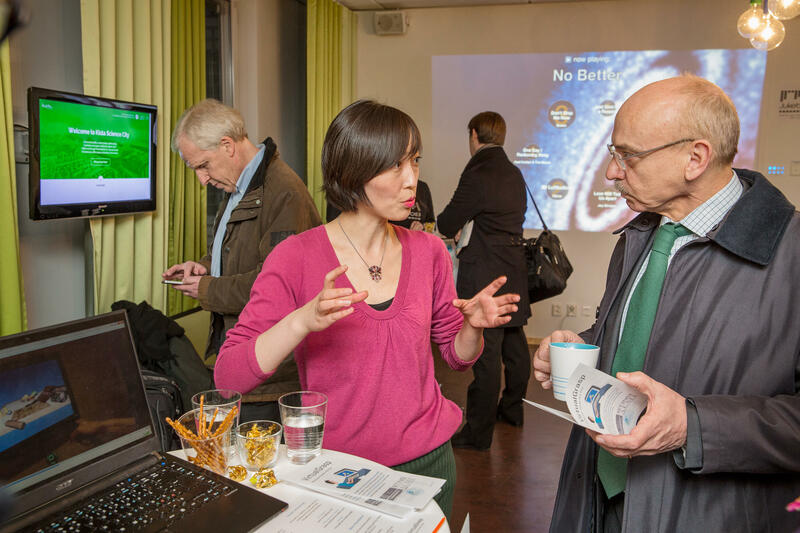 If you have not received invitation for these events please email: stockholm@eitictlabs.eu. Make it awesome with Splash. Make a Splash for your event, free!